Acute and chronic back pain, joint pain, and the pain of muscle sprains and strains can seriously impact your quality of life. We will customize your physical therapy to get you back on track. Patients receiving physical therapy after joint replacement surgeries recover faster. 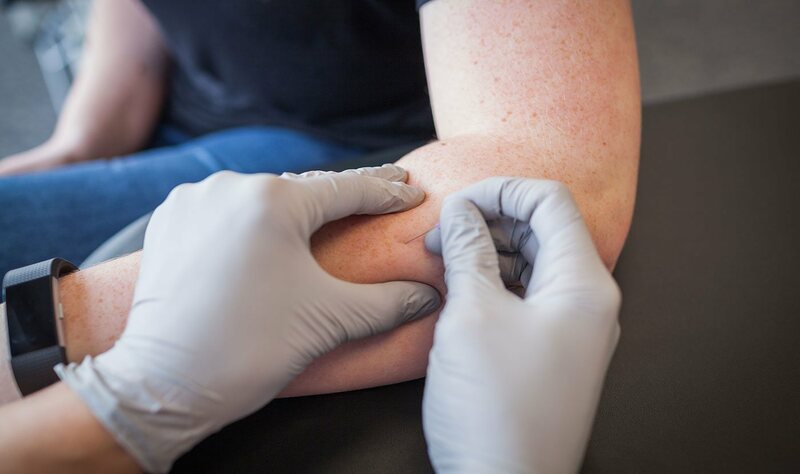 We offer a series of therapies to ease the pain of injuries and sprains such as dry needling, manual therapy, and prescribed stretching exercises. 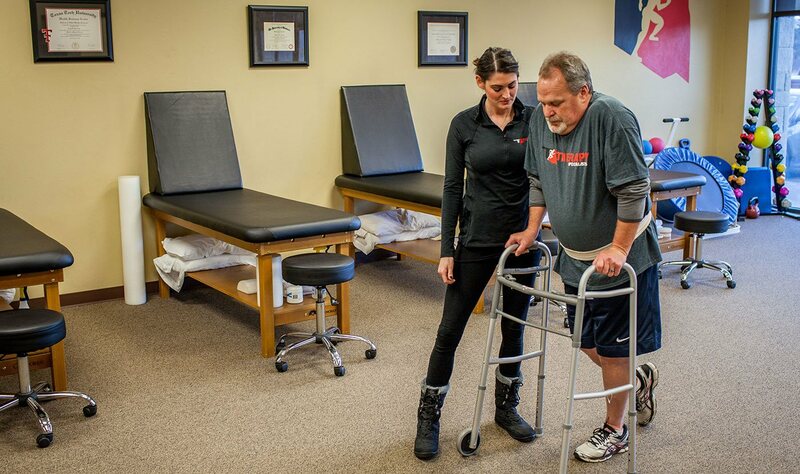 Therapy Specialists of Oklahoma is the premier provider of physical therapy in Edmond. With two clinics to serve you, we provide the highest level of care and exceptional treatment in an atmosphere of comfort and fun. We offer a broad range of services customized to each patient including orthopedics, sports medicine, post-operative rehabilitation and low back pain. Our staff is expertly trained and continually learning to stay aware of the latest research and scientific developments in our field. 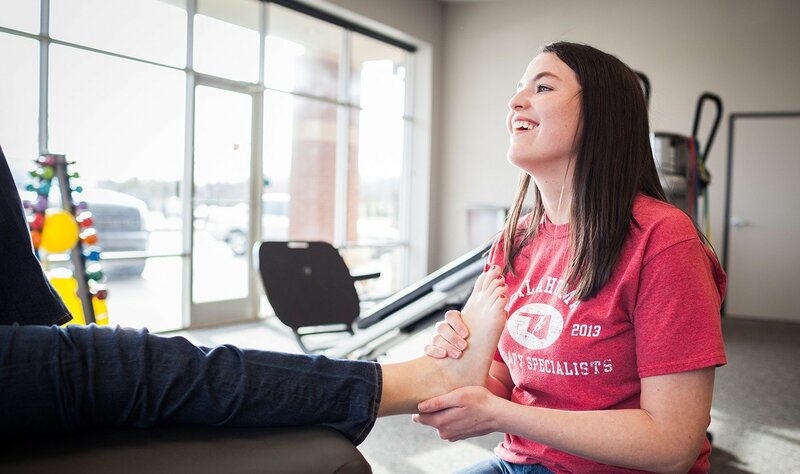 Our highly trained and experienced physical therapists use both manual therapy and modalities to customize a program of care for you that will promote your return to your normal level of activity as quickly as possible. We blend the science of physical therapy with the art of compassion to create an environment where you heal faster and learn to prevent recurring injuries. 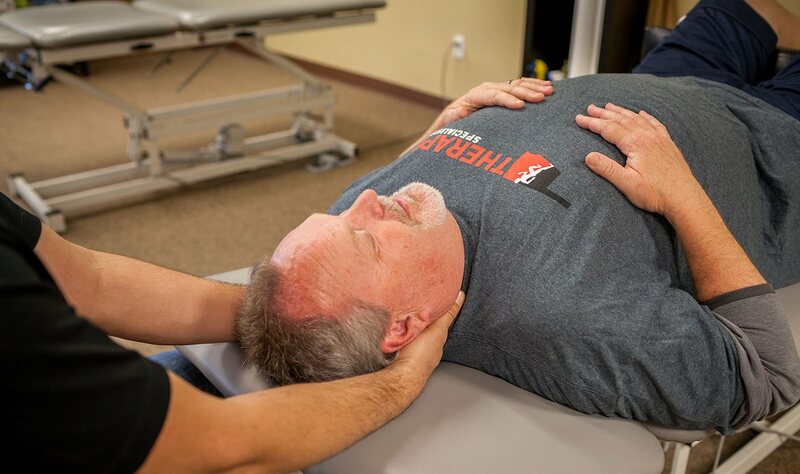 Our hands-on therapy such as soft tissue mobilization, joint mobilization and manual stretching helps you on the road to lasting recovery. We invite you to be a partner in your healing process with our customized prescriptive exercises designed to help you improve posture and build strength, flexibility, stability, endurance and balance. Feelings of dizziness and imbalance can seriously impact your quality of life. Physical therapy focused on balance training can help you improve your balance and stability and reduce the risk of falls.